The Nike Viale Men's Shoe features a breathable upper and foam cushioning for ultralight comfort that lasts all day. 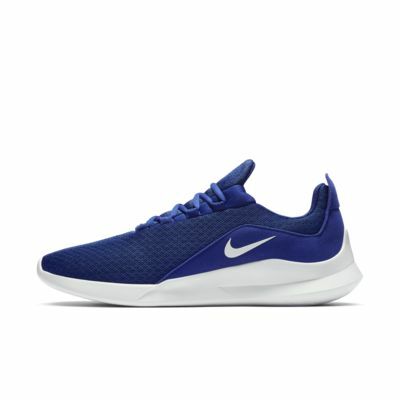 The Nike Viale Men&apos;s Shoe features a breathable upper and foam cushioning for ultralight comfort that lasts all day. I got this in black color when it was on sale and it feels so comfortable and fits perfectly on my wide feet. Looks great as well. The only cons was that my feet got so wet in this during raining. So it is clearly not meant to be worn in rain/snow. I bought these to replace an old pair of Roshes, but found them to be very uncomfortable.